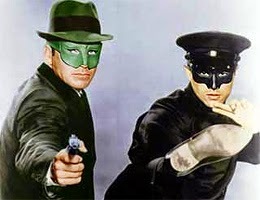 48 years ago on this date of November 25 in the year 1966, the 11th episode of the new TV series, The Green Hornet, aired. Posted this episode to mirror the airdate from 48 years ago. Bruce was 25 years old when this episode aired on Nov 25th of 1966. His birthday would be 2 days later on Nov 27th and he would turn 26. I wonder what was going through his mind? Did the cast and crew of the Green Hornet celebrate his birthday? Brandon was 21 months old at the time and Shannon wasn't born yet. Wonder what was going through his mind?